Returning to London after the fellowship ended, Boyd painted, from memory and detailed sketches done it situ, a series of paintings of the Shoalhaven. During this time in London, the Boyds, through Frank McDonald, purchased and commissioned the renovations of a property near Bundanon, Riversdale, and returned to Australia to live there in 1975 after 14 years in England. In 1979, the Boyds purchased Bundanon. 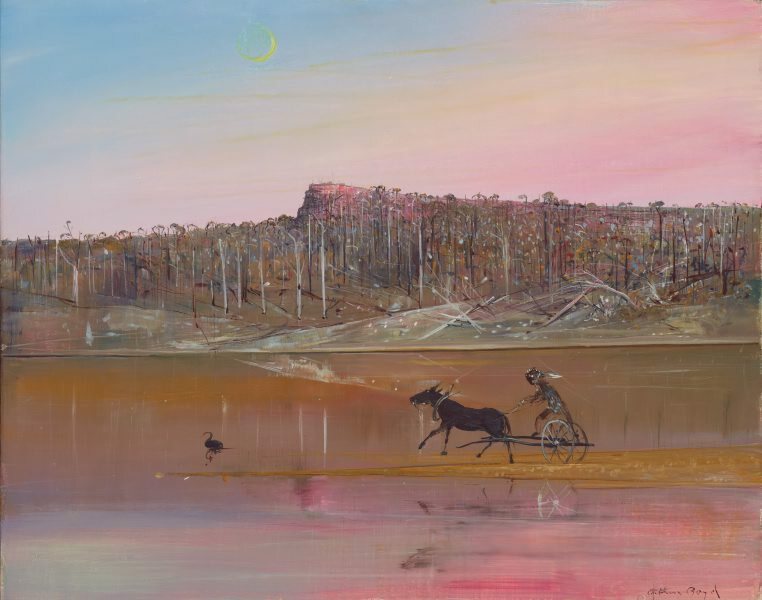 As well as the ‘straight’ landscapes, the Shoalhaven would also become the backdrop to Boyd’s exploration of mythological and allegorical stories, such as the works in the Narcissus series. Signed l.r. corner, black oil "Arthur Boyd".